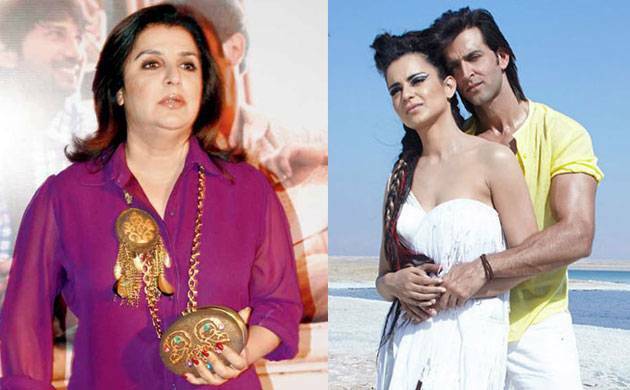 While a lot has been said and written about Kangana's revelation about the Roshans, the celebs too are buzzing with opinions on the controversy and the recent one to speak up on the debate is Farah Khan. The filmmaker has lashed out Kangana and stated that she just can't play the woman's card each time. Farah even stated that while she believes in equality, a man would have invited a serious wrath from the society if he made a statement like Kangana. The "Happy New Year" director said both men and women should receive same treatment and judgement should not be made on the basis of gender. "Just imagine if a man had said something like a woman, what would have happened. If a man had sent a picture or said anything like this, that mans life would have become hell or he might have been taken to the jail. If such things are not acceptable for a man, why it should be for woman?" she added. In a recent appearance on TV talk show "Aap Ki Adalat", Kangana had said that Hrithik should apologise to her publicly for causing her trauma after their alleged relationship ended. The actor also said her recent comment on her "Krrish 3" co-star was not a "promotional" gimmick, and she would continue to talk about him and their public feud whenever she is asked about it.